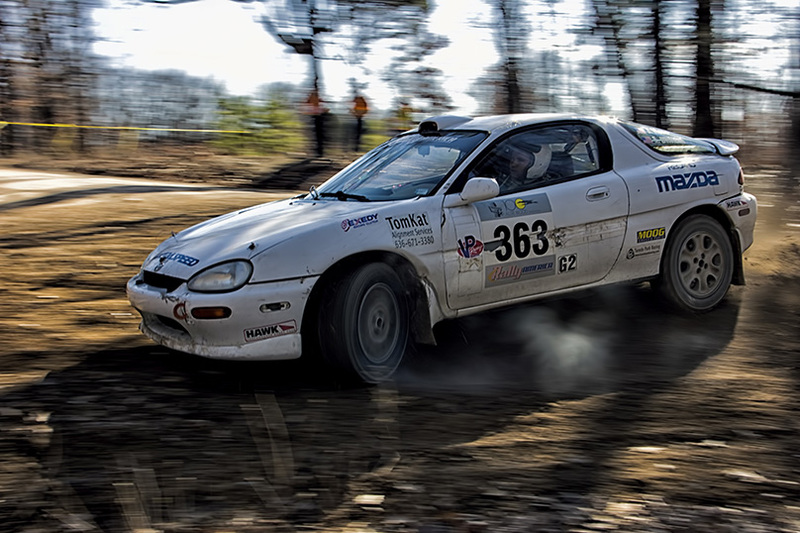 Rally racing features cars racing against the clock on closed-off sections of real roads that are usually unpaved and unforgiving. Events can last several days and cover hundreds of miles through rain, snow, day or night. 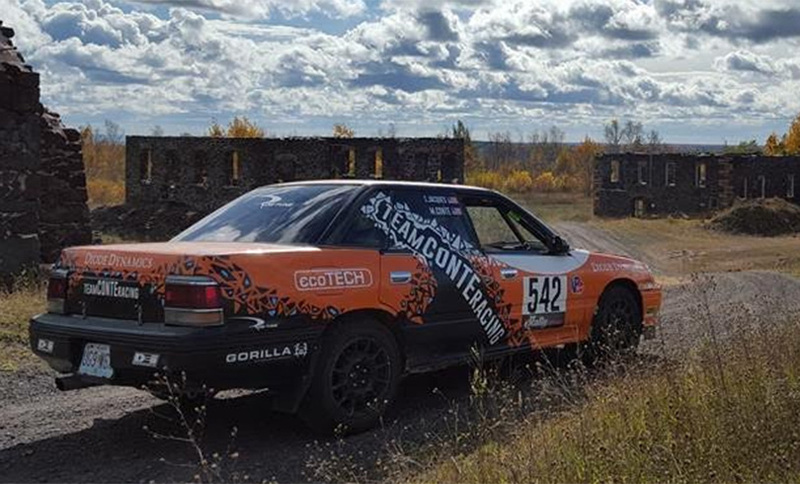 This extreme test of skill, speed and endurance is what makes rally racing the world’s premiere and most exciting motor sport, one that is quickly growing in North America. Building a rally or sanctioned car? We can build a rally car to your specifications and one that meets or exceed current rules and regulations. Just want something for Rallycross or Autocross we can do that as well. We build half cages, motors and transmissions, suspension, brake upgrades and much more. Contact EcoTECH for building, finishing or modifying current or future race cars. 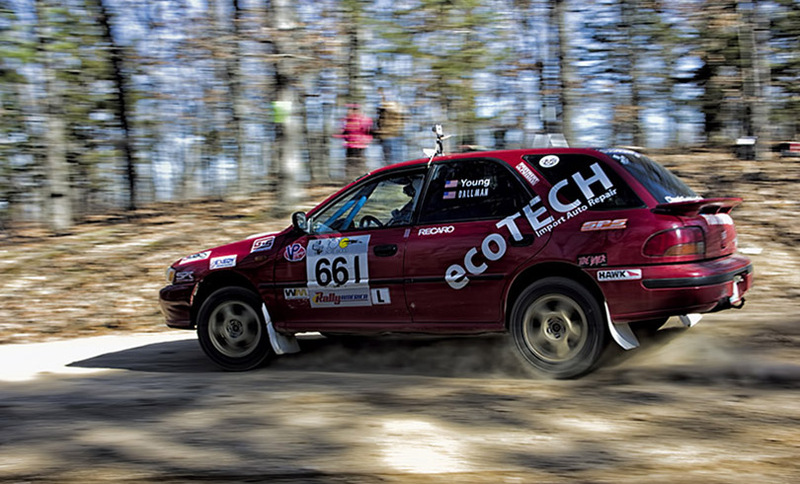 The Rally in the 100 Acre Wood is the second race of the Rally America National Championship and is known as one of the most scenic. Named after the storybook home of Winnie the Pooh, the Rally in the 100 Acre Wood is a picturesque race with enough twists and turns to test every driver’s ability. Set in the foothills of the Ozark Mountains of Missouri this race is always a favorite due to its pristine surroundings and fast, tight roads. 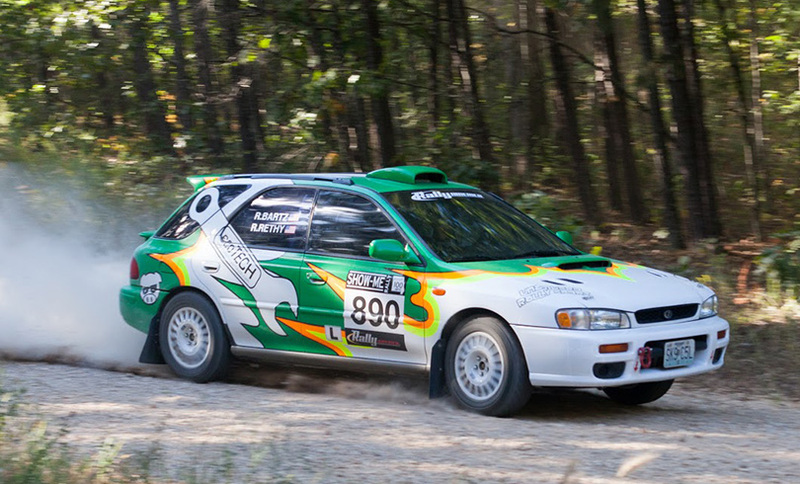 Although you won’t see Winnie the Pooh or any of his friends, you will see some of the best rally driving on some of the best rally roads in North America. Rally America, Inc. sanctions the Rally America National Championship, the premier performance rally championship in the United States, and a number of regional rally championships from coast-to-coast.